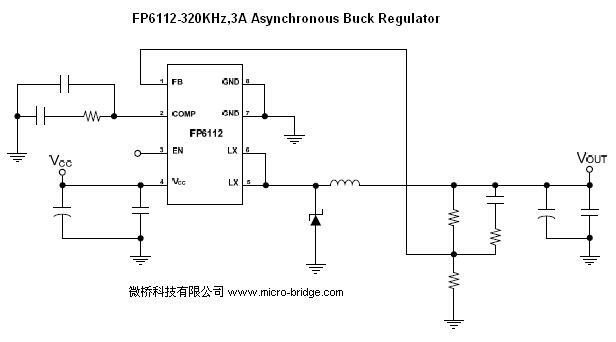 The FP6112 is a wide input range buck switching regulator suitable for most applications. The FP6112 includes a high current P-MOSFET, a high precision reference (0.8V) for comparing output voltage with a feedback amplifier, an internal soft start timer and dead-time controller. The oscillator controls both the maximum duty cycle and PWM frequency.